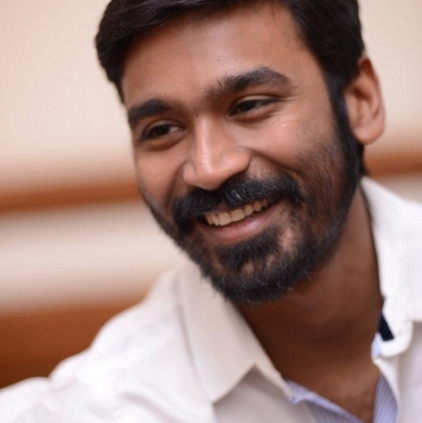 WHAT 2016 HAS IN STORE FOR THE BIRTHDAY BOY DHANUSH? Dhanush, the scrawny young man who never appeared anywhere close in looks with a set template of a movie hero, made his humble beginnings with his father Kasthuri Raja’s directorial Thulluvadho Ilamai in 2002 and followed it up further with brother Selvaraghavan’s film Kaadhal Kondein. For the audience, it was such a welcome break to see someone so much like one among them. And the young lad surprised everyone with his realistic raw portrayal of his characters. From then on Dhanush’s career is generally on the high with a few downs and more ups. The pinnacle of his career graph can easily be said as the National Award for his performance in Vetri Maaran’s Aadukalam. Dhanush is not averse to trying out diverse roles and thankfully, has not fallen into the image trap. He is just not a serious actor but is also a lyricist, singer and a producer. 2016 will witness the release of his films Thodari, Kodi and Enai Nokki Paayum Thotta. He will also be extending his services to Marjanae Satrapi’s English film, The Extraordinary Journey Of The Fakir. Today, on the 28th July, this multifaceted, hard working and sincere actor celebrates his birthday and we wish him many more happy returns of the day. May you continue to explore all areas in film making and give the audience a satisfying experience whenever you come on screen! Have a great day Dhanush and rollicking times ahead! Thala 57 team to follow Shankar’s 2.0’s mantra? Simbu and Dhanush in a track list together for the first time? Nivin Pauly’s heroine for Udhay-Ezhil film? KS Ravikumar's next gets a release date! Amitabh Bachchan to remake Kabali in Hindi? People looking for online information on Dhanush, Happy Birthday Dhanush will find this news story useful.